This gloves is for children aged from 4 to 11 years old, fitting whose circumference is between 5.5 to 6.6 inches.Please refer to this size guide before ordering. 4 different camouflage colors are provided.Your kids must love one of them. 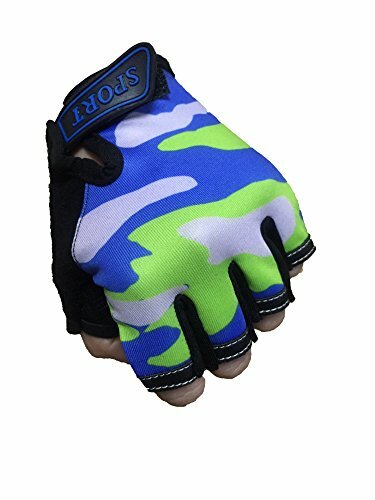 This gloves can protect your kids' hand from injury but not restrain them from working or playing flexibly with half finger design. Size:4.72X3.15 inches----Usually fits kids whos circumference from 5.5 to 6.6 inches. Protect your kids but not restrain them from working or playing happily.